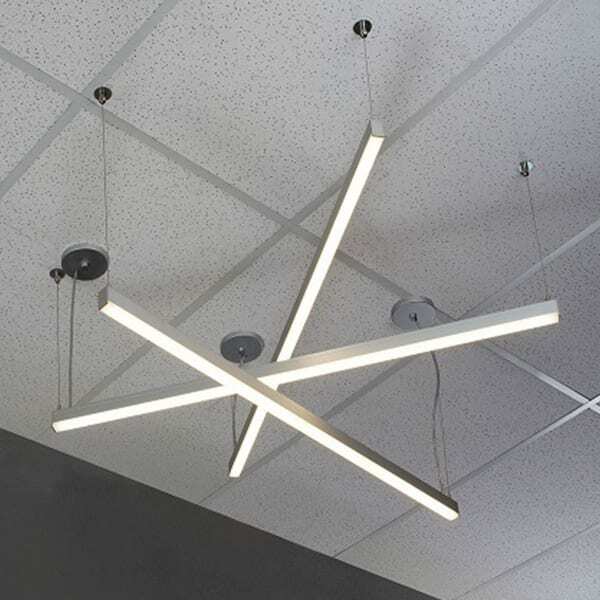 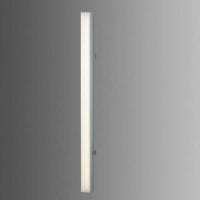 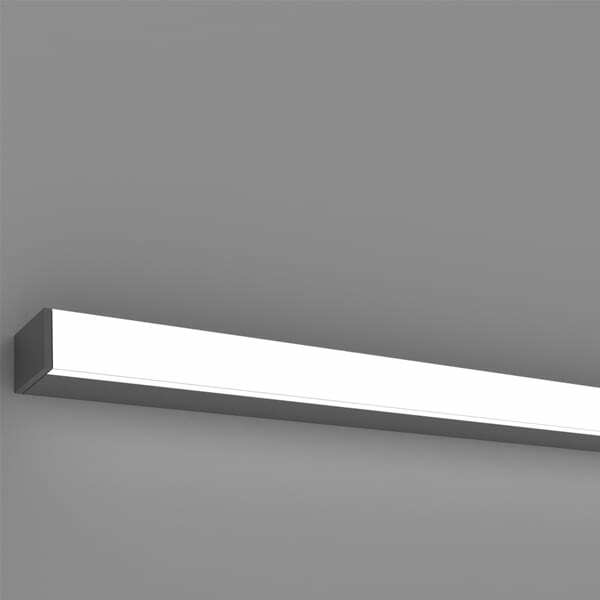 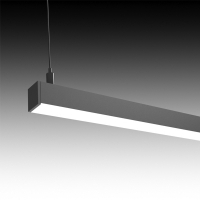 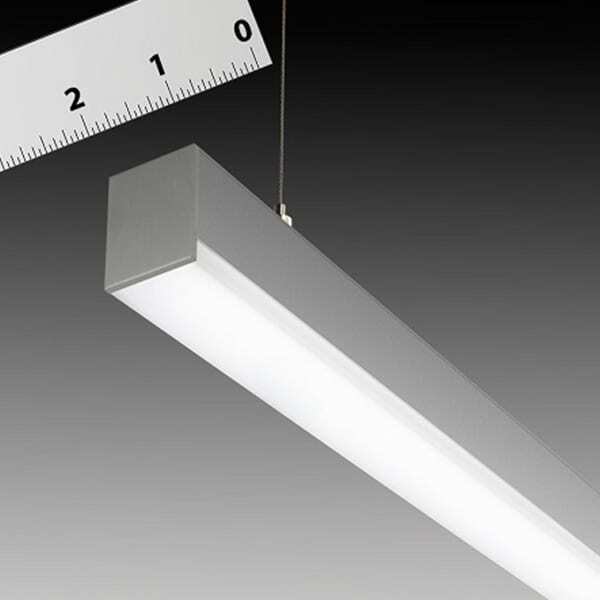 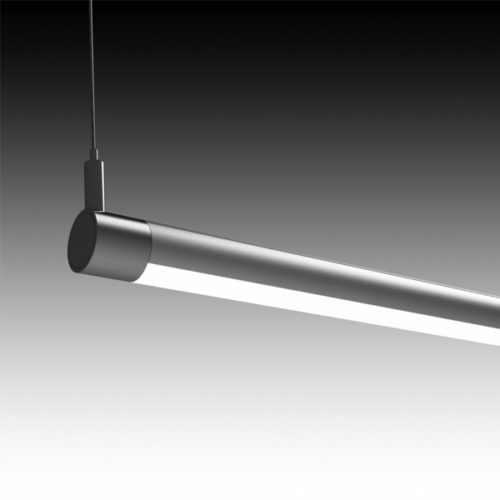 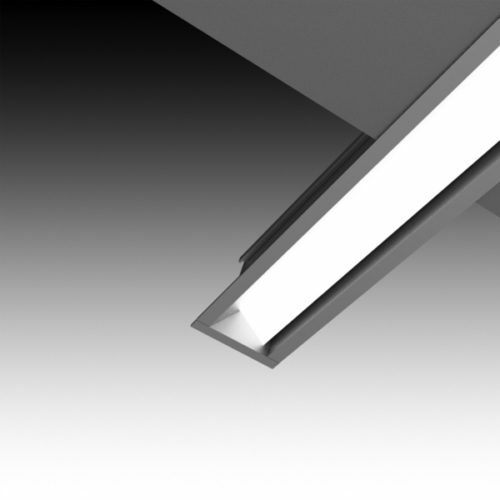 Lightplane 1 is minimalist, LED linear luminaire with a 1″ x 1″ profile. 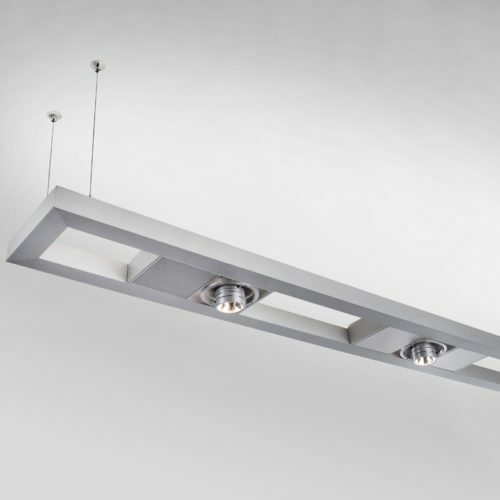 LP1 may be suspension mounted from the ceiling or surface mounted to the ceiling or a wall. 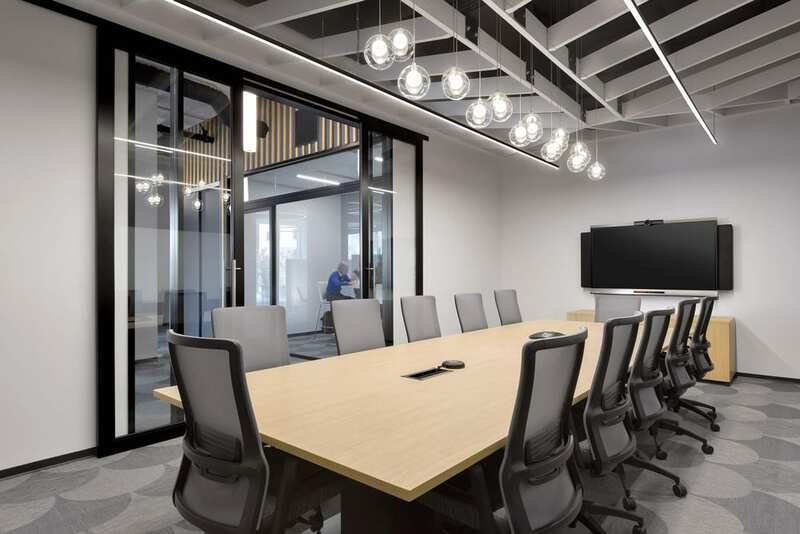 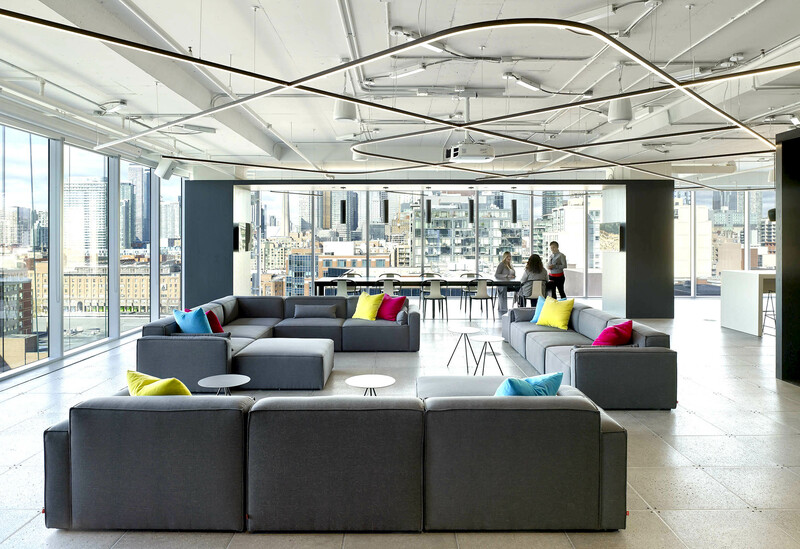 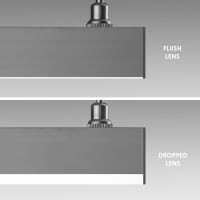 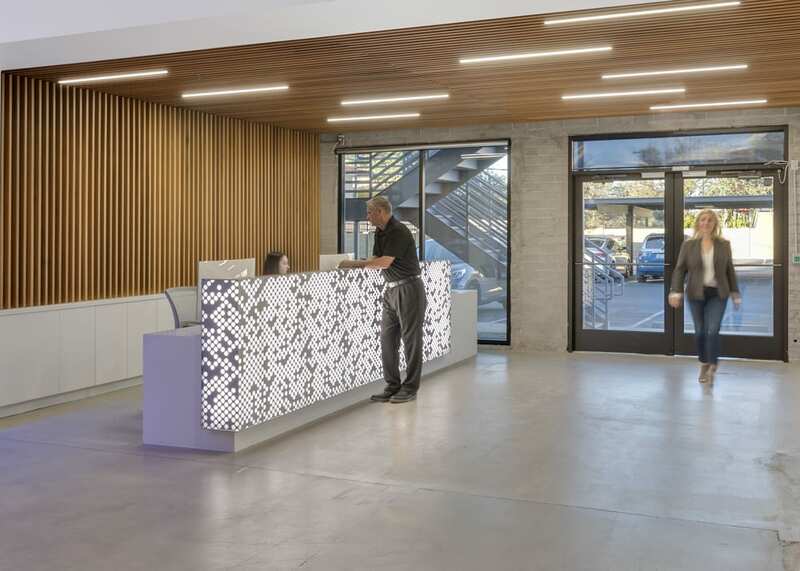 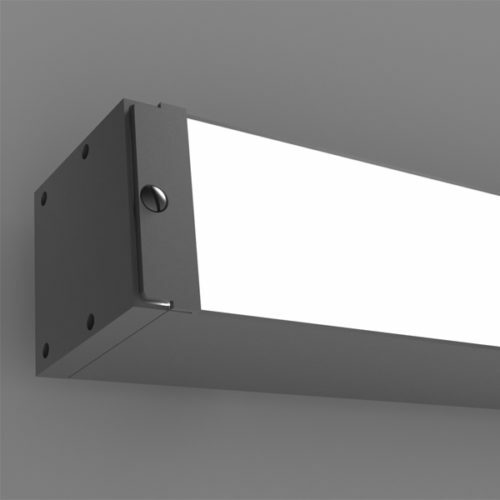 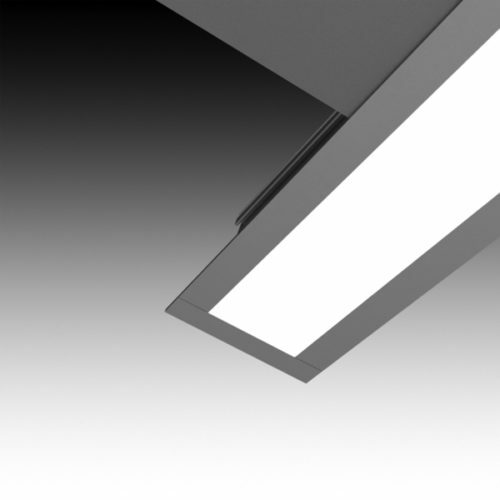 The luminaire may also be specified with adjustable surface mount hardware that enables the fixture to be pivoted and aimed at angles up to 45˚. 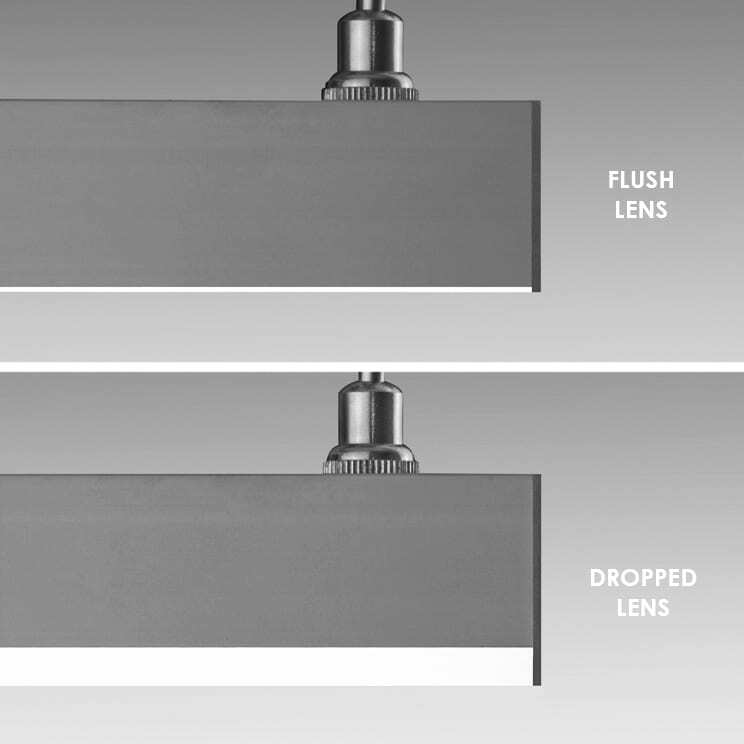 Choose from either a flush or drop reveal lens. 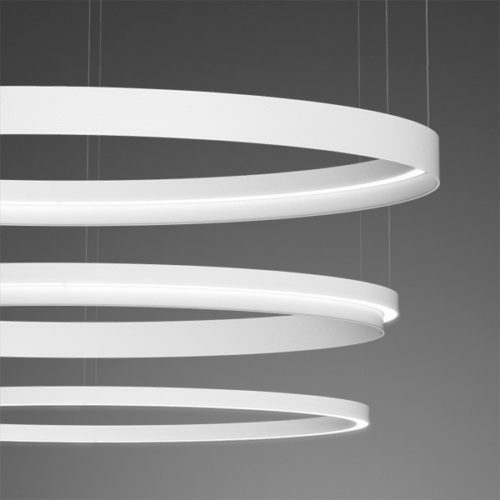 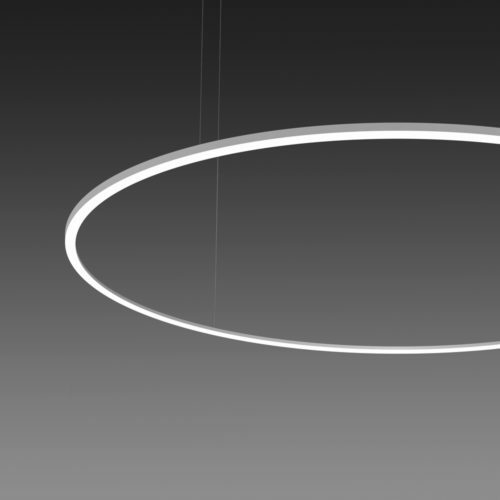 When paired with MoonRing arcs, Lightplane 1 may be configured into stadium ovals, rounded rectangles and other sweeping, curvilinear configurations.